We made it, guys! We MADE it! Aren’t you just so thankful that Halloween fell on a Saturday this year?! It was quite a week in the Applicious classroom! So much so, that I had to take 2 days to recover from all our ghoulish fun last week! Here’s a peek at what we did! I’m a huge believer in marrying the academics with seasonal fun. That of course goes for Halloween, too! You can grab this book HERE on Amazon. This legend wove itself nicely into our Close Reading structure perfectly! On Monday, I read the story out loud to students. We worked to understand the who, what, where, when, and why of the story. 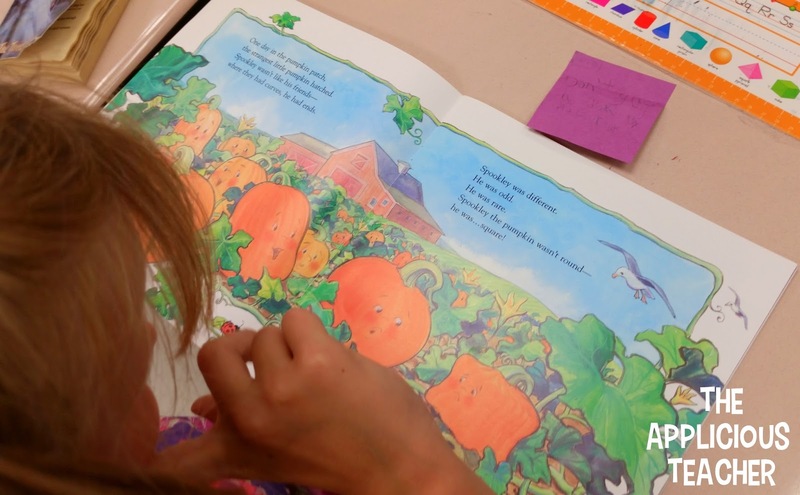 We also discussed, at length, what a legend or folktale is… I love that the last page in this book actually helped my little readers understand the retold portion of this heart warming tale! We discussed how each word essentially meant ‘different’, but how each word was a more intense and specific version of that word. PERFECT! I loved the paper craft feel of this video! Then, we worked to recount the story. Students turned to a neighbor on the carpet to share the beginning, middle, and end of the story. Then, we came together and shared what the students talked about. We worked to make sure we understood what happened first, next, and last in the story. Then, it was time to make our own Spookleys! 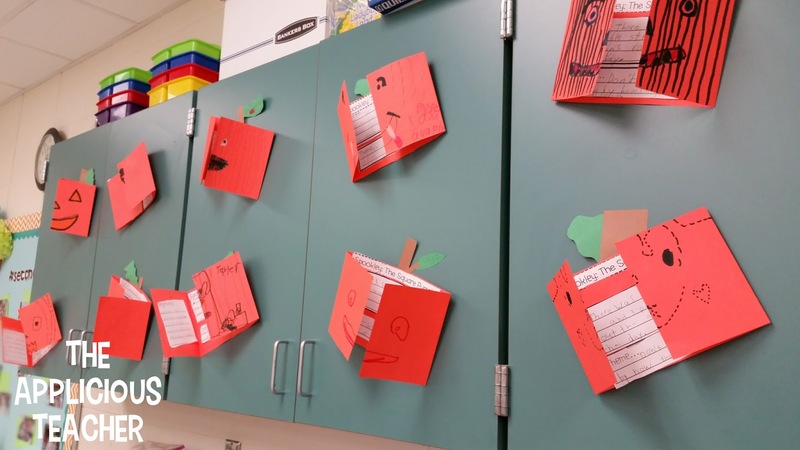 Before students could make their own little Spookleys, they worked to retell the story in their own words. Students used this FREE recording sheet to jot down their retell. Then, the glued the pieces onto a large sheet of orange construction paper. To make these, I just cut a 18 x 24 sheet of paper length wise. Then, I showed the kiddos how to fold the sheet into thirds so that the sides opened up to reveal the retell. On the third day of our close reading of the text, we were ready to understand the theme of the story. I love that this book acutally TELLS you the lesson learned right at the end! So, we reread the text one last time! Then, we worked together to come up with the message or theme of the story. I recorded our theme on our Theme Interactive anchor chart. 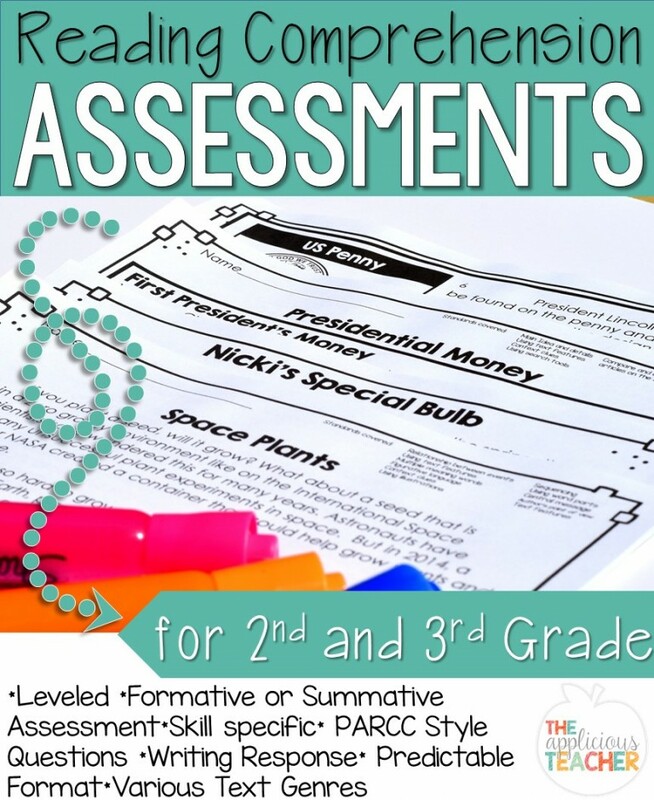 Then, I sent the kiddos off with a sticky note to find evidence that supported this theme. As they found their evidence, they stuck the note up on the chart. Once all the students were done, we reviewed the evidence as a class. 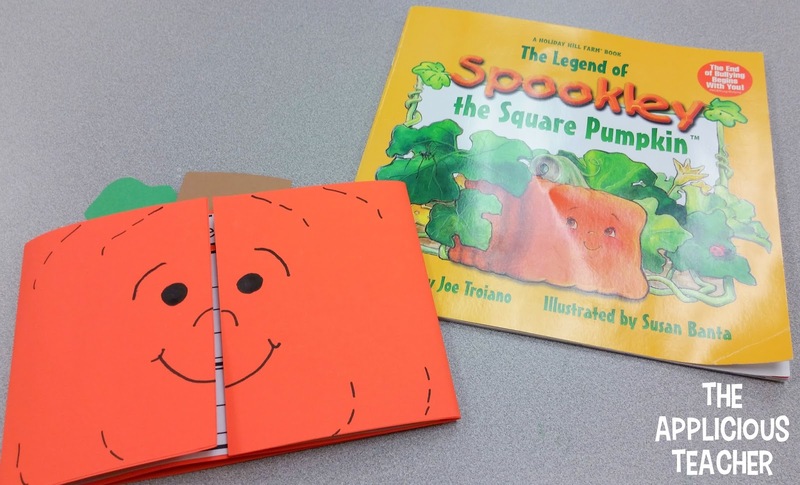 Then, we took the theme and recorded it on to our pumpkin retells. Those were finally ready to be displayed! Of course no Halloween week is complete without a spooky story! 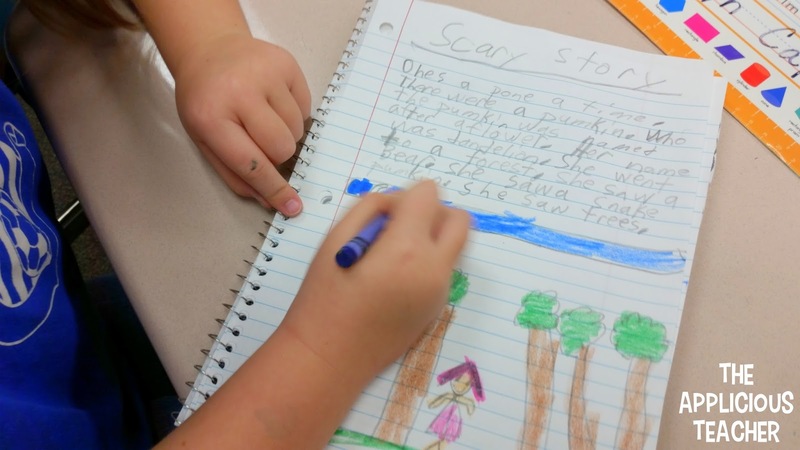 For writing this week, I let the kiddos write their own spooky stories. To keep us inspired we listened to some kid friendly spooky music. I found this hour long music on YouTube. I didn’t show the video, just let the instrumental music play as we wrote. Friday was the busiest day of all! First thing in the morning we had our traditional character parade. Are you allowed to dress up for Halloween at your school? At my old school, costumes were a HUGE no-no around Halloween. 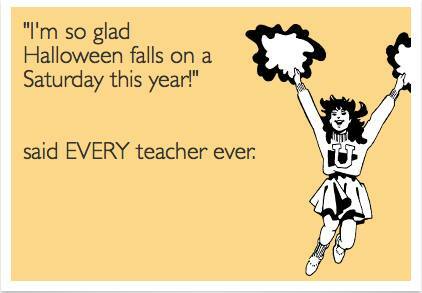 But, my new school embraces the fun and does a HUGE Story Book Character Dress up day around Halloween every year. Kids, admin, and Teachers go all out! 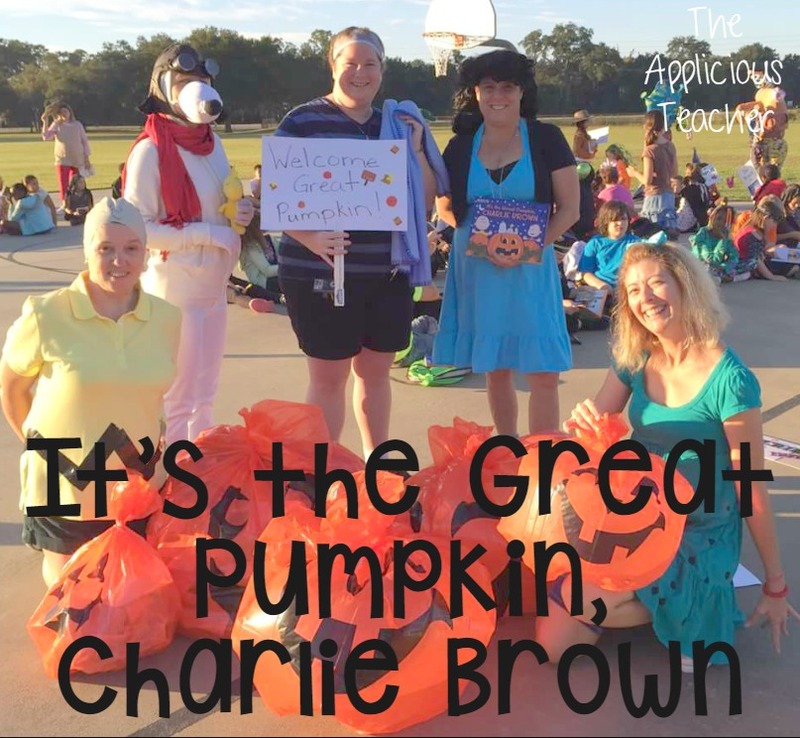 Here’s a peek at some of the teacher costumes from this year. 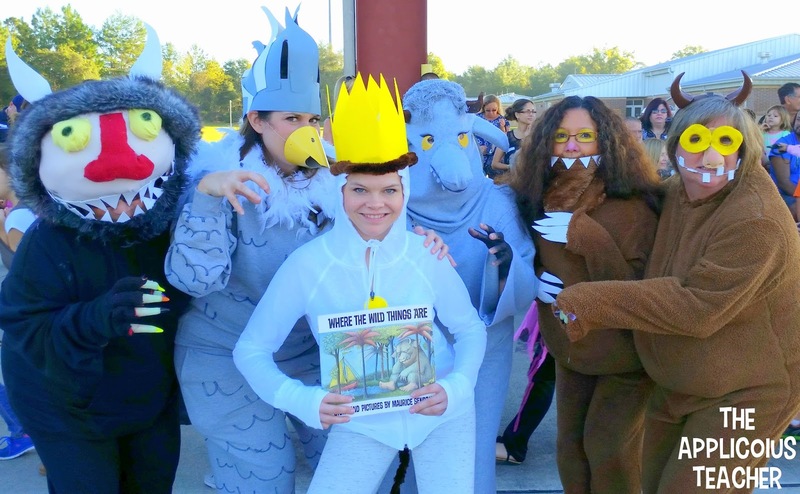 This is my team as, “Where the Wild Things Are”. We won the “Team Costume” contest! If you can’t tell, I’m the bird! 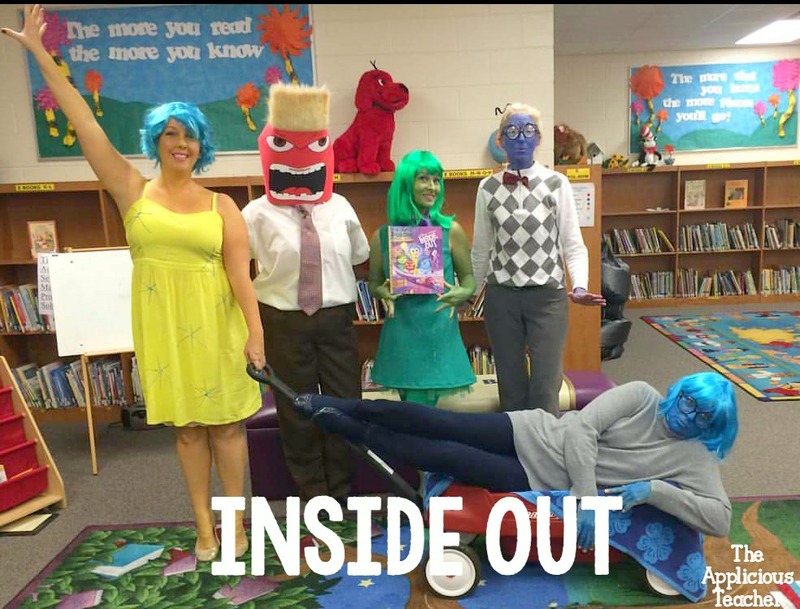 I also loved our 3rd grade team’s “Inside Out” inspired garb! They wheeled Sadness around during the parade! Coming back to class after that start to the day was def tricky. I kept the kiddos engaged with some fun “Not Spookey” themed fun! We worked on inferring using pictures with this fun Monster House activity from my “Not So Spookey” Halloween Activities. We also did a context clue hunt around the classroom using these sentence strips from my “Fall Days” Literacy Centers pack. Perfect way to burn off some energy before lunch! 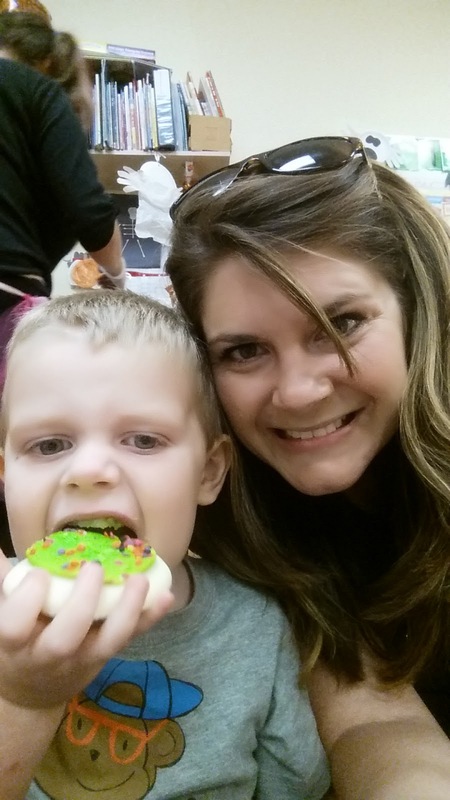 I even made a point to leave right after school to go to this cutie’s Halloween Party at his school.